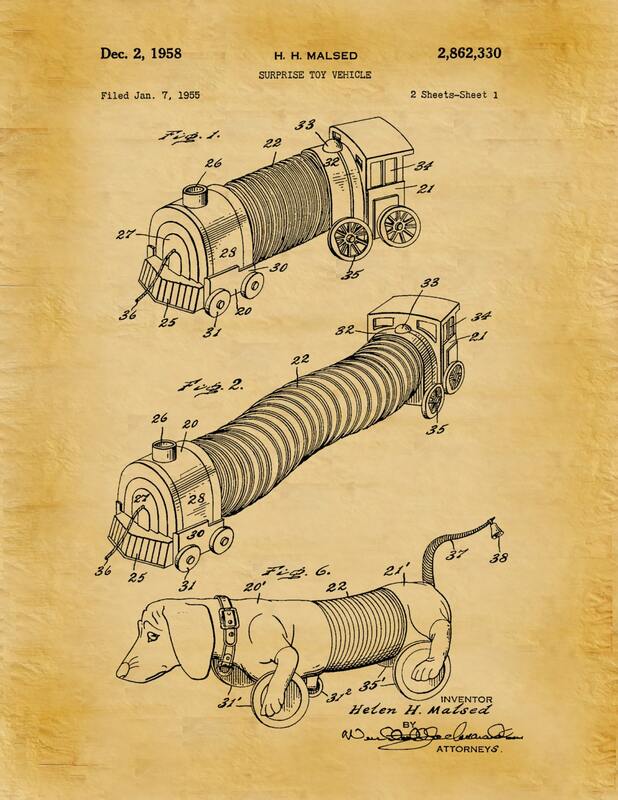 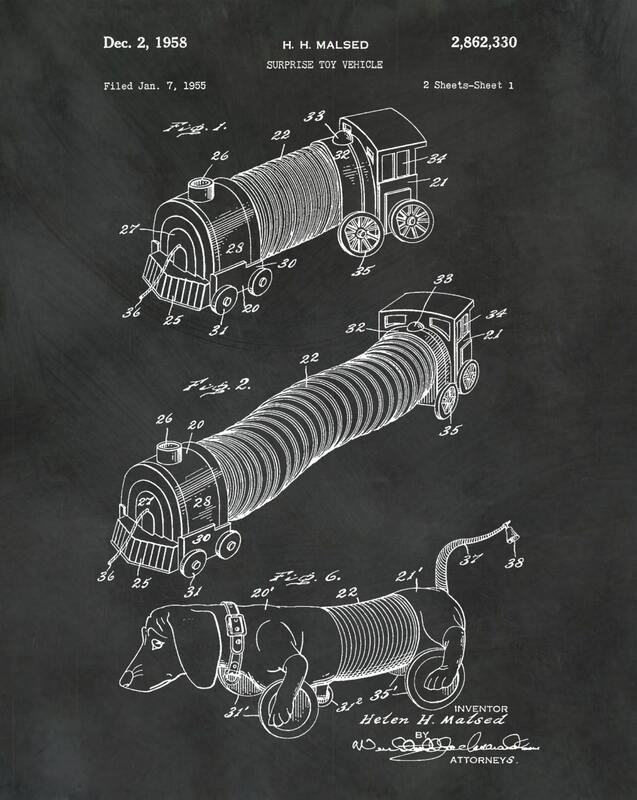 1958 Surprise Toy Vehicle - Slinky Train - Slinky Dog Patent designed by Helen Malsted. 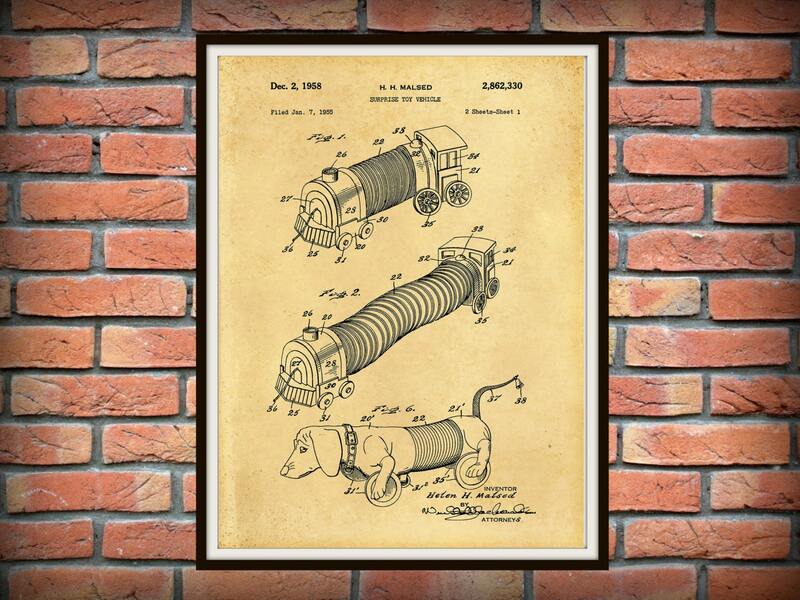 The United States Patent and Trademark office issued the patent on December 2, 1958. 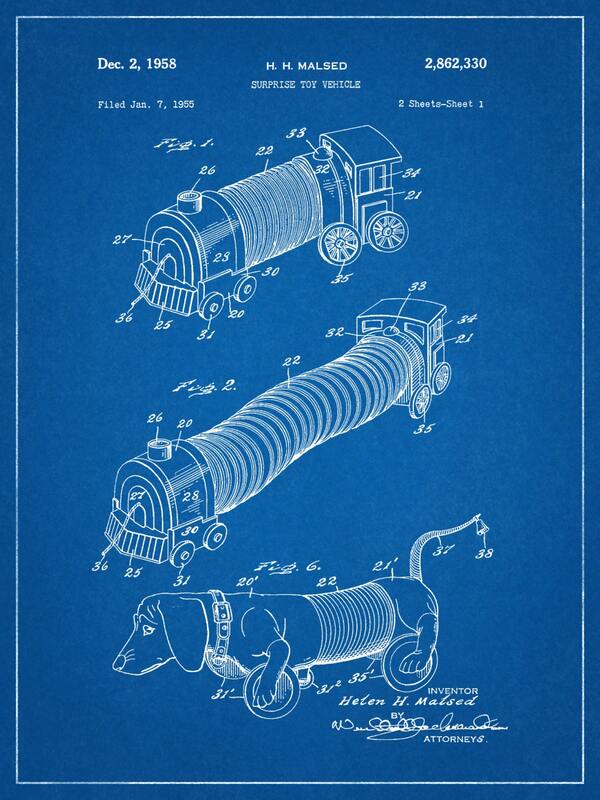 Ships in a protective sleeve inside a rigid envelope or tube.